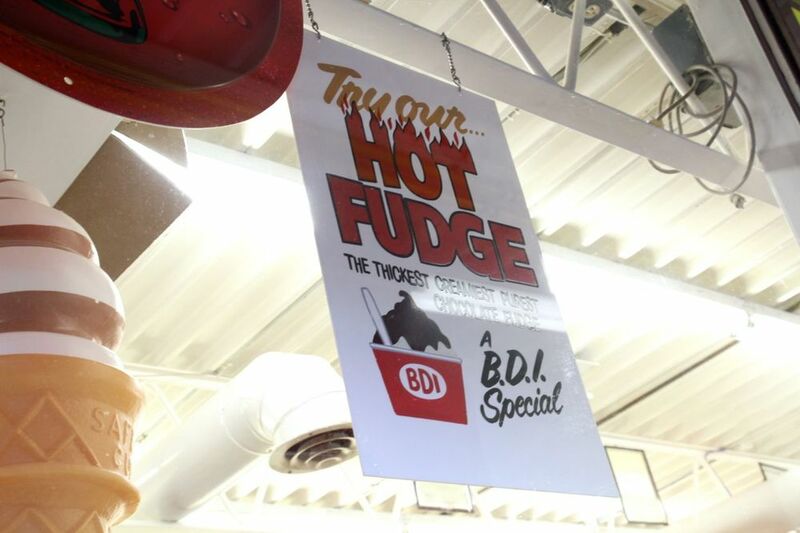 The BDI, or "Bridge Drive In," a Winnipeg classic. In the summer, literal crowds descend upon this ice cream shack, started in 1957 on the banks of the Red River. When it opens for the season there’s usually still snow on the ground, but that doesn’t stop loyal customers from coming for ice cold treats. I was wary of their claim to have 'the creamiest' soft serve in town, but here's the thing: they do. They put it in everything from milkshakes to sundaes, and it was so, so creamy, I wouldn't shut up about it for days. Then there was the original 1950's signage, their signature treat (the "Goog") and the old bridge it sits next to, which everyone strolls over with ice cream in hand. So wholesome, so charming, and we so recommend it.